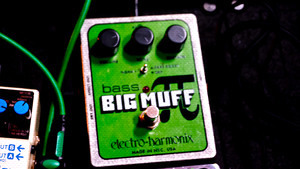 KitMonsters – Electro-Harmonix Bass Big Muff Pi. The music makers’ guide to making music. 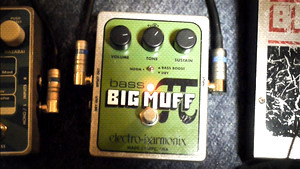 Due to the wide frequency response of the original Big Muff Pi pedal, it was not just guitarists that became fond of using it and it soon became known as a great distortion/sustain pedal for bassists to get a fat, biting tone. 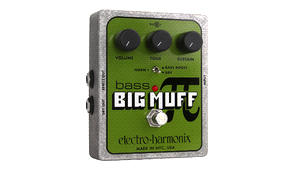 Electro-Harmonix have now released a version especially for bassists, with design tweaks to make sure that there is no loss of low-end (a sometime by-product of the compression caused by distortion). 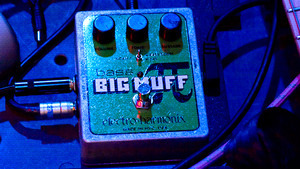 These include a bass boost function that will really get the walls shaking. Think the bass sound in ‘Hysteria’ by Muse.